Sociologist Stanley Milgram developed the proposition known as the small world phenomenon in 1967, that states that a chain of six people at most connects every person in the United States. Popularly known as six degrees of separation, this theory has even seeped into pop world culture with the popular Kevin Bacon game. Understanding that each person is connected to six other persons underscores the power of word of mouth in marketing your business. A person can share information and influence other people about a product or service quickly and easily. For example, Melinda may have visited your restaurant and was extremely pleased with the food and the quality of service. Upon reaching her apartment, she calls her sister and recommends your restaurant, who in turn calls her boyfriend who then calls his buddies, and so forth and so on. Word can travel fast in this small world. Your goal then, as the business owner, is to get people to talk often, favorably and in the right way about your products. 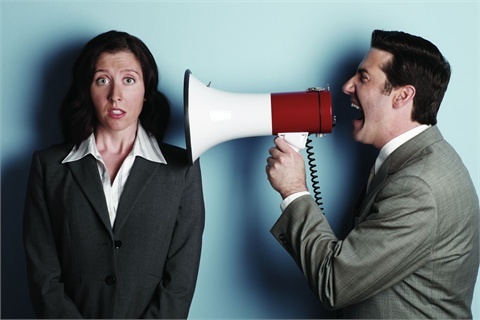 Below are some of the ways you can spur the buzz about your business and build word of mouth. Develop a high quality product. The first step to generating buzz about your business is to produce or sell a meaningful and quality product. It must possess a quality that is worth talking about. Your product may be something that improves the quality of life, innovative, and connects or elicits passion among its customers. People will not hesitate to pass on or recommend to others a product that they think offers something valuable. Don’t hesitate to request your customers and prospects to recommend you to any other person or organizations they think might benefit from your products or services. A happy customer will be more than willing to talk about you to their circle of family and acquaintances. Request them to give you a list of friends or family members that you can contact or include in your mailing list. Also ask people to pass the word about important company news and product developments. Create something to talk about. Set up a formal referral system. Referrals can allow you to bring in quality new customers at a fraction of the cost of advertising. The key is to start with a quality product or service that other people can feel confident about referring your business to their friends, family members or others. Then give them incentives to spread the word about your business. One effective way to solicit referrals is to approach businesses that offer complimentary (but not competing) products or services, then requesting them to refer clients to you. For a business selling baby books and videos, a good referral partner would be a business selling baby clothes or furniture. Same market, but different products fulfilling different needs. For every client referred to you, you will pay them the agreed referral fee. Develop contacts with key people in your field. According to authors Jon Berry and Ed Keller in their book “The Influentials: One American in Ten Tells the Other Nine How to Vote, Where to Eat, and What to Buy”, consumers today place more weight on the recommendations of their more influential neighbors than what they see or hear on TV. So-called opinion leaders, these people have the power to influence the general public and the consumers. Create a test market and collect testimonials. Experts say that the best strategy for word-of-mouth marketing is to seed your product in a group. This can be achieved by selecting a small group of influencers who can try and test your products, then use their testimonials in your ad campaigns. Book publishers for example, sends out draft copies of new books to key people in the target market for review and comments. Talk about your products and your business in your blog (preferably as a subsection of your website in the same domain address). Ask for comments from your customers. Get their feedback and what they think about your offers. Then make sure that the blog has an RSS feed that can allow your content to be used and shared by your readers. And of course, promote your blog. Use the social networking sites. Social networking sites have become an important viral marketing arsenal of any business. Be visible and promote your business in social marketing sites such as Twitter, Pinterest, LinkedIn or Facebook. Create a group or own page in Facebook, and continually update it with information about your business. Explore other sites such as Instagram, Tumblr, Digg and others to see how these sites can help spread the word about your business. Make it easy for your website to be viral. Use widgets to keep your content viral make it easy for your visitors to share your content to their network of friends. Tools such as AddThis.com or Onlywire.com can help you increase traffic by allowing your visitors an easy way to bookmark and share your website to others. Create visual content shareable on visual marketing mediums such as Tumblr, Instagram and Pinterest.